BRADENTON, Fla. -- Authorities have arrested a Florida man suspected of killing his wife and another woman, then going to the church where his wife worked and fatally shooting the pastor. 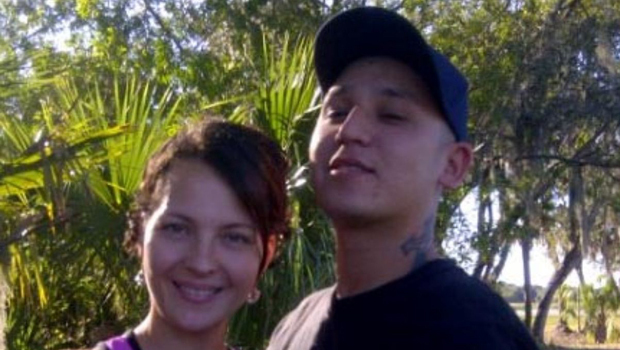 The Manatee County Sheriff's Office says Andres "Andy" Avalos, 33, shot and killed his wife Amber, 33, and neighbor Denise Potter, 46 , on Thursday at the couple's home in Bradenton, 45 miles south of Tampa on Florida's Gulf Coast. He then allegedly went to Bayshore Baptist Church, where Amber Avalos worked as the nursery and children's director, and killed 31-year-old pastor James "Tripp" Battle. CBS affiliate WTSP in Tampa reported that Andres Avalos was captured Saturday afternoon, just hours after his father pleaded for him to turn himself in. Avalos was arrested at a mobile home park less than a half-mile from the church. On Friday morning, Manatee County sheriff's deputies found Avalos's vehicle abandoned in a Wal-Mart parking lot near Bradenton. Deanna Frenier, Amber's sister, said the couple had a troubled marriage. "He was messed up lately, she was praying for him," Frenier told WTSP. "They were high school sweethearts, together since they were 16 -- six kids together. Who knew something like drugs wreck a family this bad." Frenier said her sister tried to get Avalos help for his drinking but that there was "no help to be found, not many options in Bradenton or Sarasota." The couple's six children range in age from 4 to 15 and are being cared for by family members. Frenier said the three youngest kids do not know what's happened and the oldest are taking the news very hard. "Kids lost their mother ... In all ways, it's a no-win situation," neighbor Cindy Crist said. "And for what? For nothing. For absolutely nothing." Authorities aren't sure of the motive for the slayings.